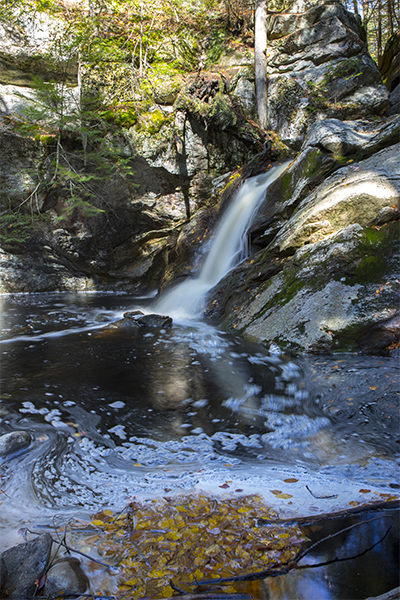 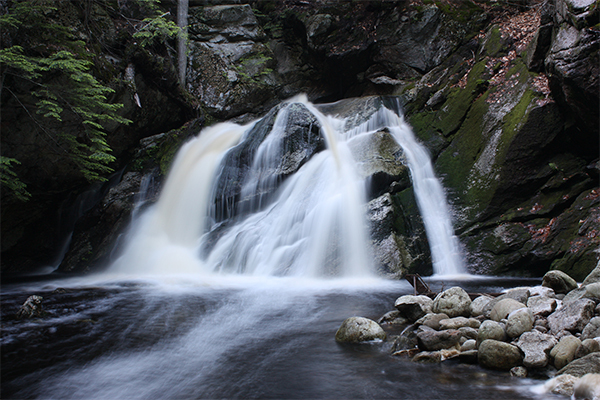 If you are in the vicinity of the city of Nashua, take a day trip on over to Upper Purgatory Falls, a short series of cascades traveling through a narrow gorge, accessible by horseback, mountain bike, or by foot. 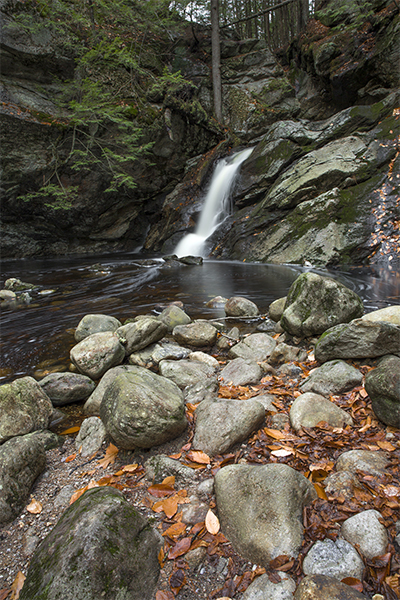 The total drop of the falls is short, about 25 feet, but still worth the visit, as many other waterfalls within such close reach of urban areas do not offer the sense of seclusion that this one does. 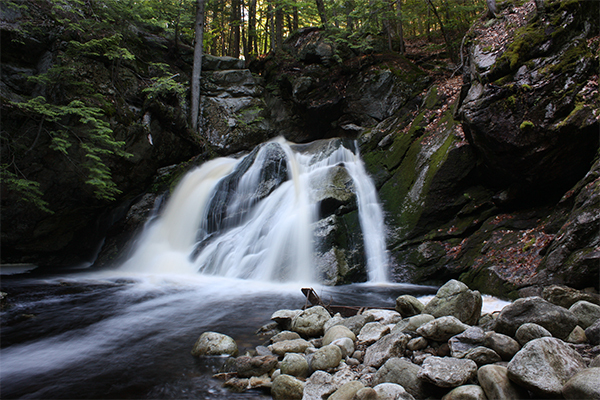 Two more waterfalls lie further downstream: Middle Purgatory Falls and Lower Purgatory Falls. 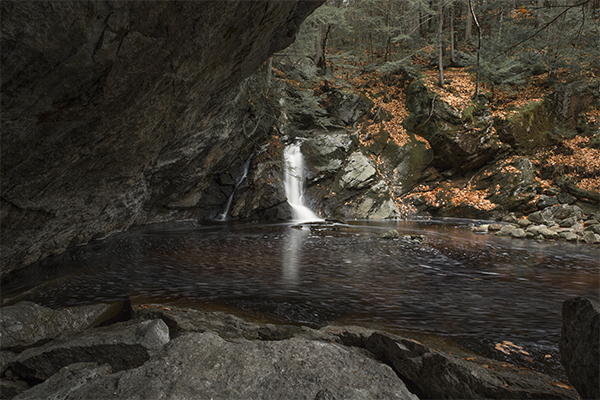 Middle Purgatory Falls is a narrow funnel in a tight gorge. 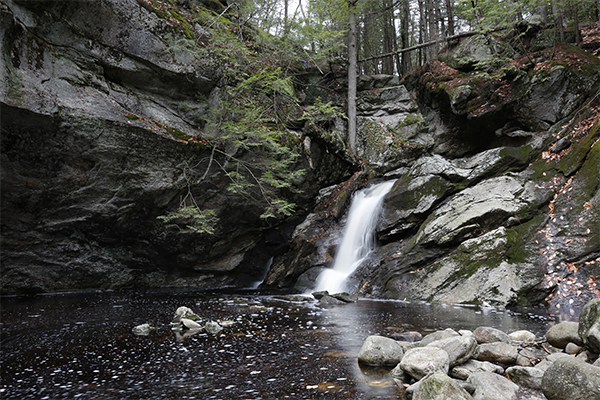 Lower Purgatory Falls is a scenic 12-foot plunge.